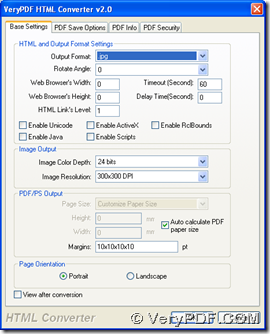 ← How to convert PXL to JPG and set image resolution? With GUI interface of HTML Converter, it is simple to save WMF as JPG with process from WMF to JPG in Windows platforms. HTML Converter is an application designed to convert EMF, WMF, HTML etc. to JPG, TIF, JP2, PNM etc., which is one of applications on http://www.verypdf.com/. So you can go to homepage of HTML Converter to know more information of this software through this link: http://www.verypdf.com/app/html-converter/index.html. 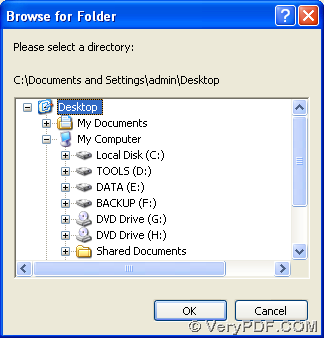 Then, you can download installer of HTML Converter, and double click this installer on your computer so that HTML Converter can be installed successfully. Next, you can use HTML Converter to save WMF as JPG with HTML Converter. First of all, please double click shortcut of HTML Converter till GUI interface is opened on screen. After successful adding, please click “setting” on GUI interface > select tab “Base settings” > click “.jpg” on dropdown list of “output format” in order to set targeting format as JPG. At last, please click “ok” there so that this setting can be saved and this panel can be closed. 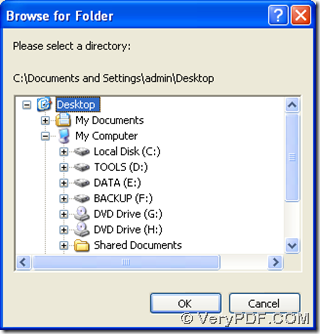 At last, to start your process and select destination folder, please click button “start” on GUI interface, so after you select one folder in pop dialog box “browse for folder”, please click “ok” there so that JPG file can be added into destination folder automatically. 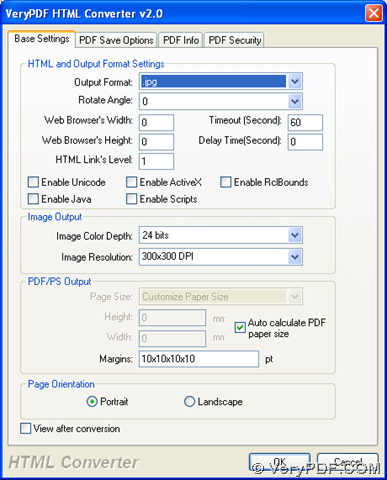 So after you know the method to convert WMF to JPG, you can also go to transaction webpage of HTML Converter at this link: http://www.verypdf.com/order_htmltools_gui.html, if there is a need. If you want to read more articles about different tools, please go to http://www.verypdf.com/wordpress/. How to rotate the page when converting WMF to JPG? How to rotate the page while converting wmf to jpg? How to convert wmf to jpg? How to save WMF to PCX flexibly? How to convert PCL to PXL and set page orientation? How to convert PRN to PS and fit to paper size? This entry was posted in VeryPDF Blog and tagged wmf to jpg. Bookmark the permalink.